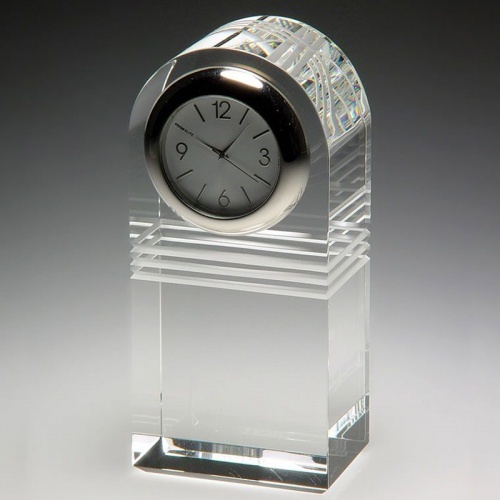 These superb crystal clock awards are titled Raise the Bar and they are certainly worth aspiring to. 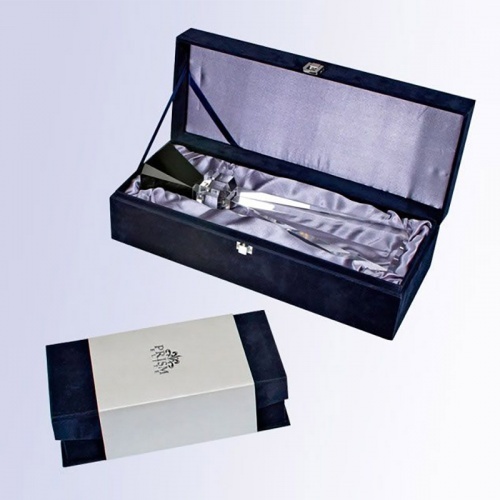 Crafted in flawless optical crystal with precision cuts on the decoration and bevels, they have an immaculate polished finish. The decorative bevelled bars cut into the optical crystal add to the myraid of colours and aspects created as light is refracted through the award. The clock face has modern numerals and is set inside a silver frame. Ideal as retirement gifts or achievement awards, these clocks can be engraved on the flat front. They are supplied complete with a deluxe presentation box.